There are 19 neighborhoods with more than 1000 total homes nestled along the fairways of Gainey Ranch Golf Club. Property choices range from the condos of the Courts to the estates of Vaquero. Prices range from the high $300 thousands to more than $3 million. Gainey Ranch Real Estate is one of the more established mixed-use luxury resort gated golf communities in Scottsdale. Built in the 1980s on the site of an Arabian horse ranch, the 560-acre community provides its 1,000 residents with a convenient North Central Scottsdale location, as well as a private golf club. Gainey Ranch Golf Club is comprised of three themed 9-hole courses: The Lakes, The Dunes and The Arroyo. Only members, their guests, and guests at the Gainey Ranch Hyatt Hotel are allowed to use the facilities. Gainey Ranch Real Estate is located right in the center of the Southwest's premier resort city - Scottsdale, Arizona. This private and secure community is unlike any other Arizona golf community. Gainey Ranch real estate is located near shopping, dining, culture, recreation and other amenities of the Scottsdale area. Gainey Ranch Golf Club, an award-winning 27-hole private golf club offers unparalleled golf on three distinctive, championship 9-hole courses: The Lakes, The Dunes and The Arroyo. Nestled in the heart of paradise, Gainey Ranch was once an historic Arabian horse ranch owned by Daniel C. Gainey. With panoramic views of the McDowell Mountains, the allure of the Sonoran Desert and breathtaking blue skies, Gainey Ranch is more than just a golf club; it’s a home away from home. Golf Digest has rated Gainey Ranch to be one of the 75 best in this country. Bill Huffman, the golf writer for The Arizona Republic, has rated Gainey Ranch in the top 25 for Arizona's private golf clubs. Congratulations Gainey Ranch Golf Club for its 2007 Best 100 Places You CanPlay ranking! Congratulations Gainey Ranch Golf Club for its 2007 25 Best Family GolfResorts ranking! Gainey Ranch Real Estate, A golfer's paradise in Scottsdale. Against a backdrop of colorful mesas and towering saguaros, 27 holes of championship golf grace the grounds of the Hyatt Regency Scottsdale. Designed by Benz & Poellot, the Gainey Ranch Golf Club (private) is available to Hyatt guests. Gainey Ranch Real Estate is conveniently located to the shopping, dining and nightlife Scottsdale has to offer. 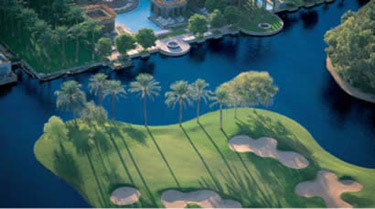 When you decide to buy Scottsdale AZ Real Estate, (whether it's Gainey Ranch Real Estate or some other premium Scottsdale AZ Real estate) be prepared to live amidst some of the most renowned luxury resorts and spas, championship golf courses, gorgeous homes, and natural desert beauty in the world. With all these amenities at your fingertips you’ll be living in paradise.